As the Nepal Appeal team left for home, I have one last detour, a quick 1 hour flight around Everest and touch down in The Kingdom of Bhutan. 2016 marks my 10th year of having the privilege of visiting and working out in this stunning hidden Himalayan Kingdom. 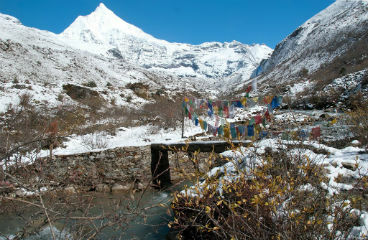 Exploration in an untouched Himalayan Kingdom! This visit is just a brief one, with a night in the Capitol, Thimphu and a night in Paro before I start my commute home. As many of you are aware I have spent the last few years exploring the rivers, training local guides and developing adventure tourism itineraries here, both trekking and rafting/kayaking. Bhutan has a policy of controlled and restricted tourism but over the last few years has started to promote sustainable adventure tourism, in a unique, untouched environment. As part of this process I spent the morning in a meeting at the offices of the Bhutan Olympic Committee (BOC). Many of you will remember me bringing the first UK rider in 2014 to compete in the hardest 1 day mountain bike race in the world – ‘The Tour Of The Dragon’. This 168 km 1 day ride over 4 passes each in excess of 3000m is as tough as it gets. James was among the 20 out of 40 riders to complete the race in a very respectable time. The 2 am start line – 168 km and four 3000m passes to the finish! With Live The Adventure being the European marketing partner for the event, and one of the prize sponsors, I attended last years race to offer the winning rider the opportunity to come to the UK in 2016 to compete in a national event. The winner rider for 2015 stormed over the finish line and to everyone’s joy, it was the local driver for one of the hotels called Sonam. Sonam had previously held the title of ‘Son of The Dragon’ as the winning rider, but lost this title in 2014 to two riders from Nepal. In 2015 year he was back with no doubt of who was the winner with an accomplished lead. Today we were with him planning his visit – the first Bhutanese rider to compete outside of Bhutan and not only represent himself and the Kingdom, but I’m sure, show a lot of UK riders what he can do. …..And he doesn’t do things by halves! – Out of a list of events he choose not just one event to compete in, but a second the weekend after. The first event is in June and he is entered in the solo 12 hour endurance race class. If that’s not enough on the 18th & 19th he’ll them attend the grueling ‘Mountain Mayhem’ in the solo 24 hour race. 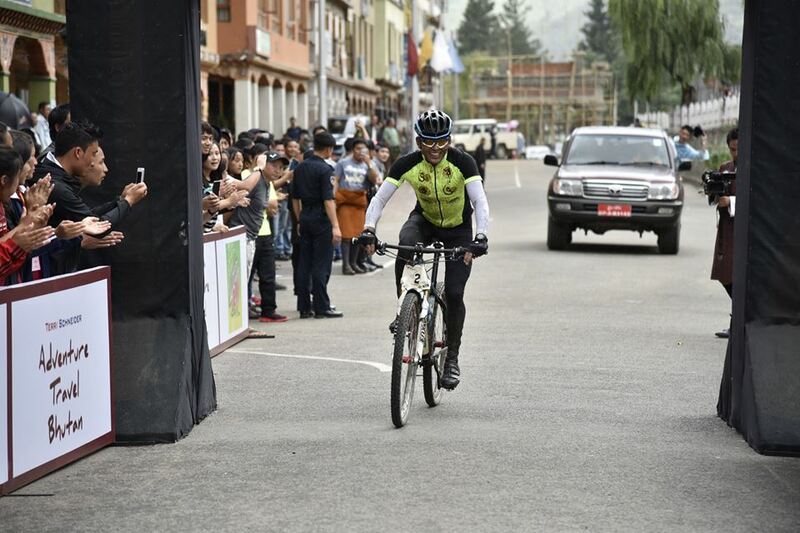 He’ll be arriving in time to train and experience some of the UK’s best Mountain bike regions to gain experience to take back to Bhutan as they develop their own race (originally started but HRH the prince) and as it develops mountain biking as part of its tourism itineraries. We’ll also be trying to tempt a few riders back to Bhutan in September to challenge him on his own turf! They’ll be more on this as the summer approaches and Sonam comes to the UK, but for now time for the next meeting planning our 2016 trips to the Kingdom, as Bhutan prepares for the Royal Visit by William and Kate. That’s tomorrow’s blog.